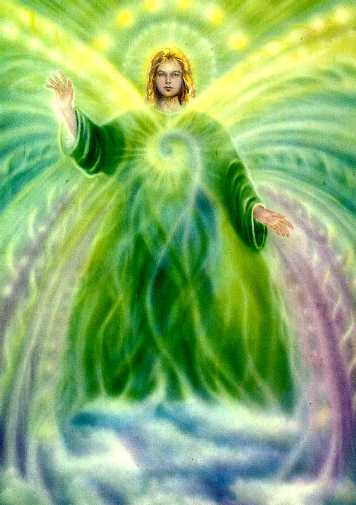 Since I was a child and saw my first painting of an Angel in church I have always been in a wonderous state of inquiry about their meaning and presence upon the Earth. 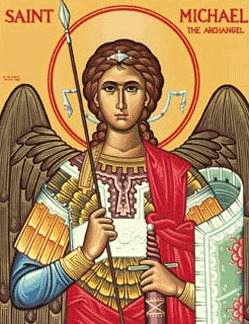 So when a dear friend of mine told me earlier this month that my own patron Saint "Archangel Michael" had a special day called "Michaelmas" celebrated on the last Sunday in September each year and dedicated to "Saint Michael's" honor and the honor of all the Angels, I was immediately interested in learning more. Whether you believe in Angels or not the idea that there are wisdom filled beings who may intercede during times of human need or crisis to render comfort and healing always seemed like a desirable subject to at least consider more deeply. I had always felt that I could use all the help I could get in managing my own life affairs and I suppose it really never concerned me much if that help came from non-visable or celestial sources. So at some point I decided not to discriminate against help that came from beyond the visable. 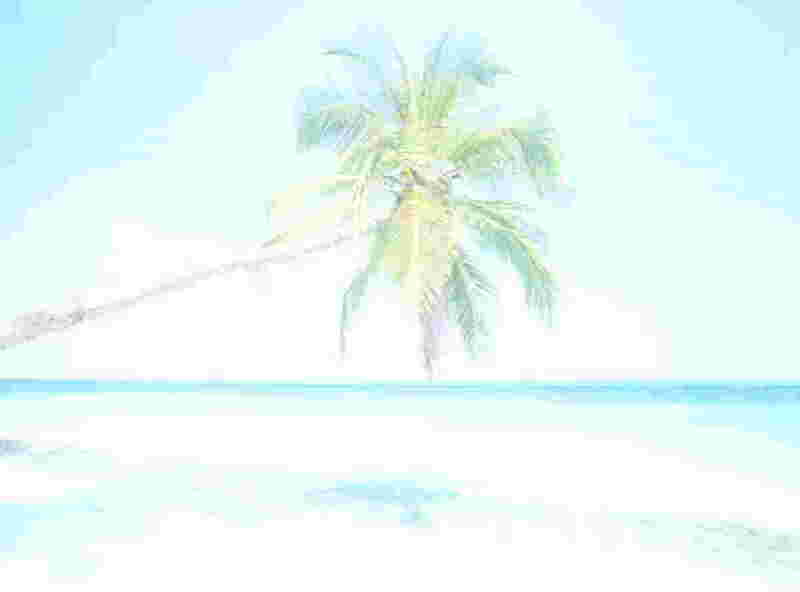 I know many people might think that this is a subject founded in imaginings or wishful thinking but it seems so many things we accept as reality today at one time or another were themselves exisiting in the realm of wishful imaginings such as the light bulb, television or more presently; the Internet. Or how about those things that we now know exist that we still cannot see because they exist in the realm of the "In-visable" such as; gravity, electicity, radio waves, dna, and the atom. So many things that we may not be able to imagine or see now may in fact one day soon be common knowledge. I personally have experienced the presence of Angels in my life so for me it is no longer a question of belief but another opportunity to be grateful. 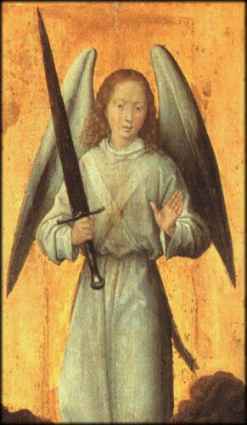 I share some of the historical foundations and more contemporary celebrations of St Michael's Day and the attributes of all Angels in this sacred holyday offering. Along with this feature presentation I also share some very special links to various inspired Angel Art Gallerys presented in the "Holyday Links Panel" toward the bottom of this page. CELEBRATING ST MICHAEL ARCHANGEL DAY "MICHAELMAS"
The celebration of Saint Michael the ArchAngel Day and all the Angels known throughout the world is "celebrated as Michaelmas" and ties in directly with last weeks Autumnal Equinox celebration for in olden times the great season of harvesting one's crops had to be completed by the date of the Michaelmas or the last Sunday in September so that a new cycle of planting and farming could begin. In the present day this is considered to be a fine time for clearing the slate and planting the seeds for new beginnings and fresh new journeys. Archangel Michael whose name in ancient scripts means; "Who is like unto God..." is most often thought of as the mighty angelic warrior who drove the rebellious fallen Angel "Lucifer" from the kingdom of Heavenly paradise. 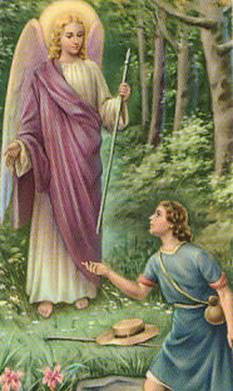 Throughout history Michael has always been the most venerated and popular of the three Archangels mentioned in the scriptures. 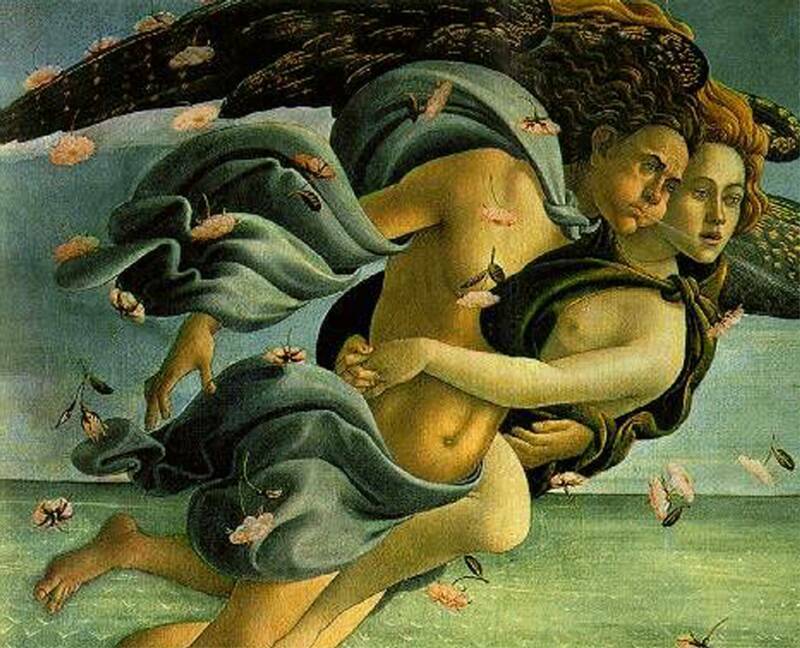 The other two being "Archangel Rafael" and "Archangel Gabriel". 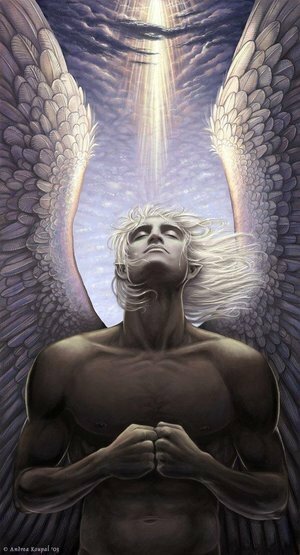 It is the "Archangel Michael" who is described as the embodyment of Love, Compassion and Divine Enlightenment in all of the recorded writings. Throughout European countries many monasteries and churches are dedicated to the Archangel St Michael and are usually located in high places near the ocean. Saint Michael's feast day was celebrated with the tradition of baking special large loaves of bread made, offered up and eaten only on the "Michaelmas feastday". From the earliest centuries it had been a favorite practice in many communities to build Saint Michael shrines on the tops of mountains and hills. 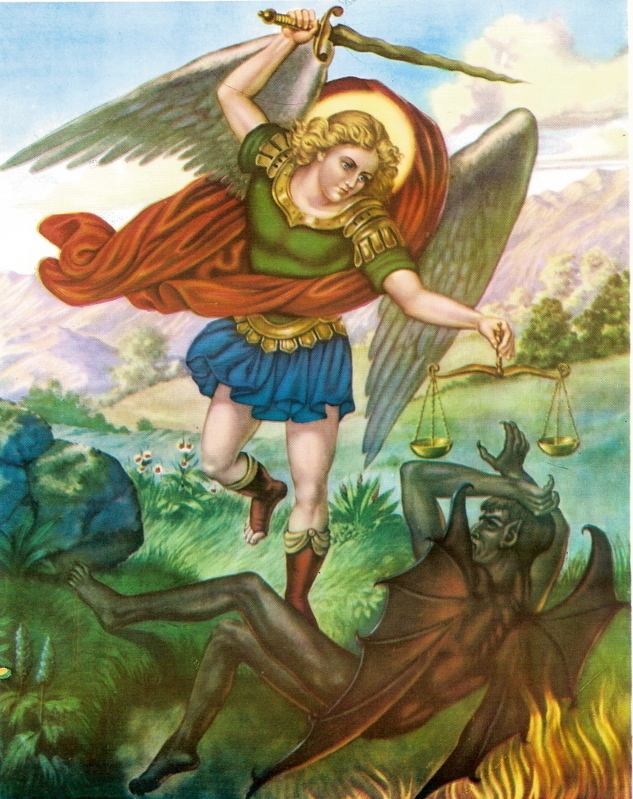 Archangel Michael is most commonly invoked as the protector of the innocent as well as a mediator for the dying and is the presenter of souls to God at their entrance into Heaven. 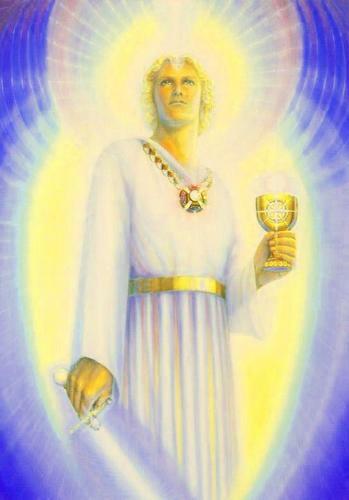 Archangel Michael is therefore honored as the actual patron of all the holy Souls. In many sections of Europe and England, wine consumed on this day was called; "Saint Michael's Love" and this ancient ritual is preserved even to the present day. 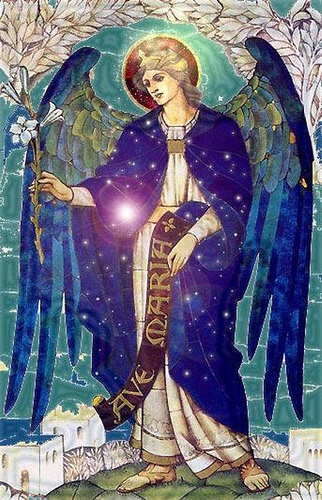 Archangel Michael and all patron Saints and Angels serve to eliminate the negativity and confusion that is often referred to as "the dark night of the Soul," as they are called upon to bring the comfort of lasting Peace and eternal Love to the sincere petitioner. The raising of Spiritual Awareness and the unfolding of Divine Wisdom beckons to each human heart to Love unconditionally and aide in the relief of sorrow and suffering wherever it is found. This is the relentless call which comes unceasingly forward from within the realms of all the Angels and Saints. 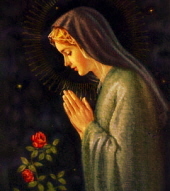 These Prayers to the Saints are Christian, Catholic and Orthodox in origin. I invite each of you to join me in the following Prayers and Contemplations best offered up before daily activity or at the end of your day before bedtime. "May prayer strengthen us for the spiritual battle we are told about in the Letter to the Ephesians: 'Draw strength from the Lord and from His mighty power'" (Ephesians 6:10). The Book of Revelation refers to this same battle, recalling before our eyes the image of St Michael the Archangel (Revelation 12:7). 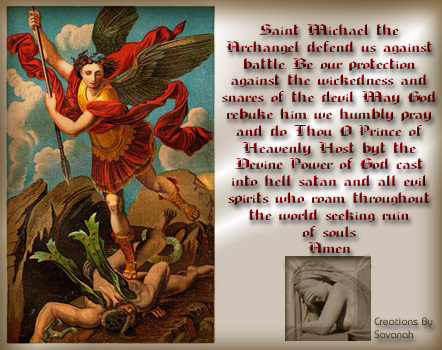 Recite this Prayer to obtain help in the battle against forces of darkness and against the fallen spirits of this world. 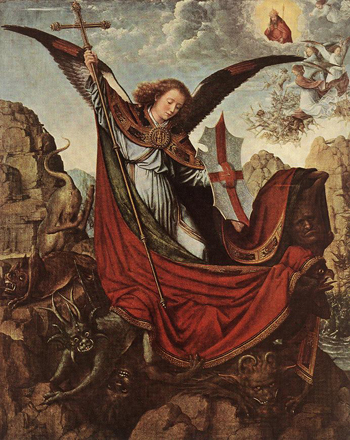 Glorious Saint Michael, guardian and defender of the Church of Jesus Christ, come to the assistance of His followers, against whom the powers of hell are unchained. Guard with special care our Holy Father, the Pope, and our bishops, priests, all our religious and lay people, and especially the children. Saint Michael, watch over us during life, defend us against the assaults of the demon, and assist us especially at the hour of death. 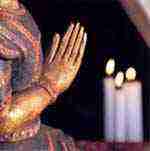 Help us achieve the happiness of beholding God face to face for all eternity. 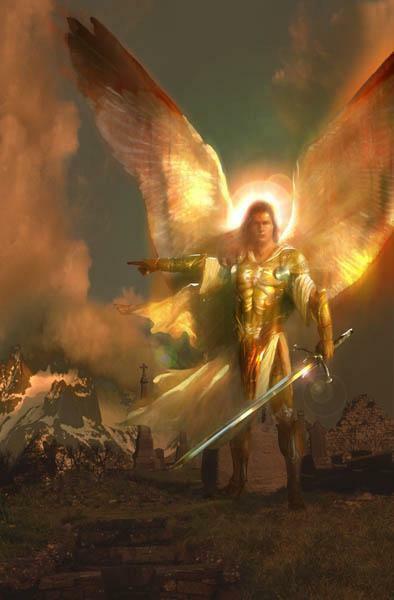 Prayer of the ArchAngel Michael ArchAngel Michael, since you are, by the Will of the Creator, the powerful intercessor of Christians, I have great confidence in your prayers. I earnestly trust that if it is God's holy Will, my petition will be granted.